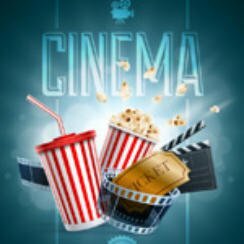 It’s that time of the week when we take a quick look at what movies are hot at the US cinema, these figures are for US cinema charts December 8 2017. It’s another week with not too many new releases in movie theaters over the weekend. In fact only comedy Just Getting Started is a new entry scraping in the top 10 movie charts at number ten taking just $3,201,459. The film stars a strong cast in Morgan Freeman, Tommy Lee Jones and Rene Russo. Meanwhile comedy, drama The Disaster Artist expanded its release into more cinemas over the weekend resulting in it climbing from twelfth place last week up to fourth this week. Disney’s Coco remains at number one taking $18,452,315. Actually last week’s top three movies of Coco, Justice League & Wonder remain in the same positions this week. All that will definitely change next week as a certain sci-fi adventure makes its way into movie theaters. So another less than interesting movie chart this week, normal service should be resumed this week following the releases of Star Wars Ep. VIII: The Last Jedi, more on that on Thursday.